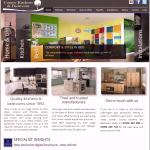 County Kitchens & Bedrooms. Quality kitchens & bedrooms since 1992 Have a look at our huge choice of door styles, colours and finishes, classic, traditional, shaker, painted, contemporary and hi-tech, fully fitted kitchen, with appliances. If your project is not up to the required standard we will re-do or re-fit until you are completely satisfied. We are a firm of Chartered Quantity Surveyors providing professional consultancy services in the construction Industry.Our Midland based offices, situated at the hub of the motorway network, are ideally situated for fast, effective contact with sites throughout the United Kingdom. We are independent of any outside interest and are fully committed to providing advice based on the latest technology and practice. Alderson House is a magnificent location set in the heart of Shakespeare country. 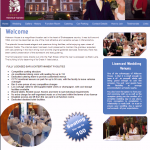 It was built around 1694, and can be described as one of the most attractive and versatile venues in Warwickshire. The splendid house boasts elegant and spacious dining facilities, whilst enjoying open views of Warwick Castle. The internal decor has been much preserved to maintain the grandeur expected, with oak panelling in the main dining room and the original galleried staircase. Externally, there has been careful preservation of the stonework and lead guttering. Established In 1971 South Warwickshire Group Homes was formed to provide safe accommodation to people suffering mental health problems, and thereby assist in their recovery. 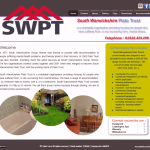 In 1982 Plato Trust was also founded, providing much the same services as South Warwickshire Group Homes. The two organisations worked closely together until 2001 when they merged to become South Warwickshire Plato Trust, with the working name of Plato Trust. Your pets are your family! We understand that! That is certainly how we feel about our pets as well. With this in mind, we pledge to give your pets the best care possible. Whether you are going to be on holiday, need us to walk your dog, or are looking for a doggy day care creche, they will be in good hands in our care. 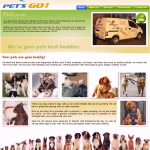 We are insured, trained in animal behaviour and animal first aid and can provide excellent references. WOOF! 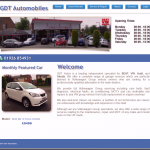 GDT Autos is a leading independent specialist for SEAT, VW, Audi, and Skoda. We offer a complete range of garage services which are perfectly tailored to Volkswagen Group vehicle owners who are looking for a professionally qualified alternative to the main dealers. We also welcome classic car owners, a number of our technicians are classic car enthusiasts with knowledge and experience in this field. 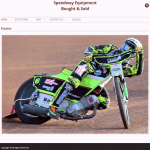 We are 100% dedicated to having the best possible recycled speedway equipment for sale that are 100% in working order. The item in the photo is the actual item that is for sale. To purchase some of the listed items, please contact James West for further information. This full eCommerce website which handles its payment through all Credit/Debit Cards and PayPal gateway. Helps companies manage and find more cash within their company and if, or when required, raise the money. We are your mentor, a friend of your organisation, looking at it without any preconceived ideas. By installing our rules of credit management, we reduced a client’s overdraft to zero. Increased turnover without requiring outside funds. 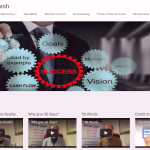 This Full Featured eCommerce Membership website which handles month and yearly subscription payments are processed all Credit/Debit Cards, PayPal gateway. We help children enjoy learning whilst improving their achievement in literacy. 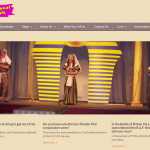 With our History Musicals aimed at the KS2 Curriculum. Our musicals cover five sections of the Curriculum in one go: Literacy – History – Music – Art and Design –Drama. This full eCommerce website which handles its payment through all Credit/Debit Cards, PayPal and School Procurement Orders. This website has been designed with clean lines. Providing an active Twitter feed and Facebook.